Dash Development Group uses Foxit PDF SDK to power up PDF functionality for their Dash DDX(™) Document Management Software, a solution that delivers paperless efficiencies to manufacturers and distributors. Manufacturers and distributors, not to mention other industries, produce and receive a staggering amount of documents daily – invoices, purchase orders, drawings, specifications, correspondence and more. This mountain of paperwork comes with a mountain of challenges: meeting auditing and ISO requirements, increasing demand for storage space, and hours wasted tracking down specific documents in disorganized data silos. Powered by PDF, Dash DDX(™) Document Management Software allows users to file, find, share, send and manage millions of documents at the touch of a button and at breakneck speed. The FoxIt PDF platform offers value-added function to DDX users, including PDF creation, manipulation and quality PDF display without additional plugins. These enable DDX users to generate large quantities of documents, and archive them in the perfect format for long-term storage and searchability: PDF. The entire process frees companies from documents that are trapped on paper, people’s desks, their own PC’s or “missing in action” on a network somewhere. This also eliminates the risk associated with losing invaluable information due to loss, misplacement or disaster, and streamlines business processes by eliminating much of the labor associated with managing a company’s many, disparate files and documents. Foxit PDF SDK helps developers hit the ground running, adding real features and functionality without getting bogged down in PDF specification. 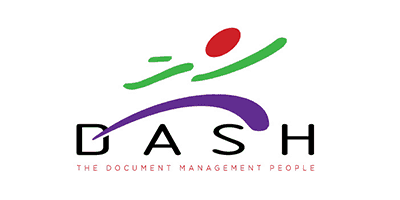 “It has always been a challenge to provide industrial strength document management products that are practical for the small and mid-sized businesses we deal with.” said Jim Van Hecke, President of Dash Development Group. While PDF has long since become the go-to file format for document storage, development environments are a constantly evolving affair. Foxit constantly updates PDF SDK to ensure it is the best tool for high quality PDF applications. Encouraging and responding to client feedback is key to meeting emerging needs. Dash DDX(™) Document Management Software is tailored specifically to small & mid-sized Manufacturing and Distribution companies. This means it comes to the table pre-configured to meet the most common needs in those industries. No need to start with a blank sheet of paper which keeps their customer’s deployment costs to a minimum. Similarly, using Foxit PDF SDK cuts development time and keeps maintenance costs down. Additionally, the royalty free licensing model eliminates a costly overhead burden, meaning Dash Development Group can keep offering their applications at price points available to small and medium businesses. As documents get created, filed and sent to their final destination faster, users report lead time reductions of 3+ days. Return on investment is incredibly fast, with users reporting 3-4 month to achieve a full return. Get in touch with us below to find out more about Dash Development Group’s success.